Yay! More Electric Nights collection from China Glaze today! 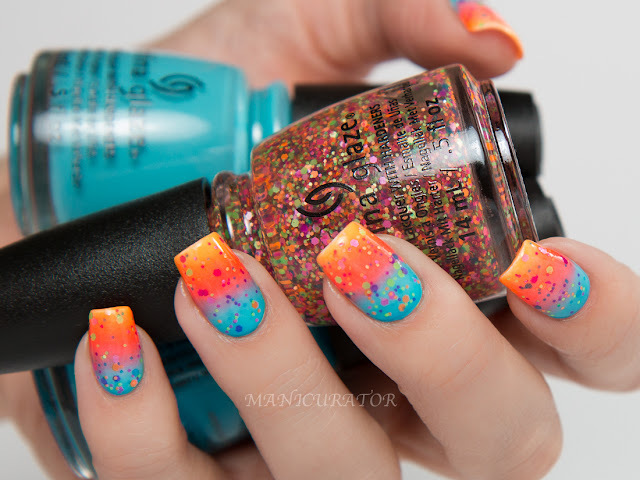 Last post was this cool quadrant gradient with neon matte glitter and next post you'll see the rest of the 12 shades! Check out the full press release if you want to see the whole collection in one place. 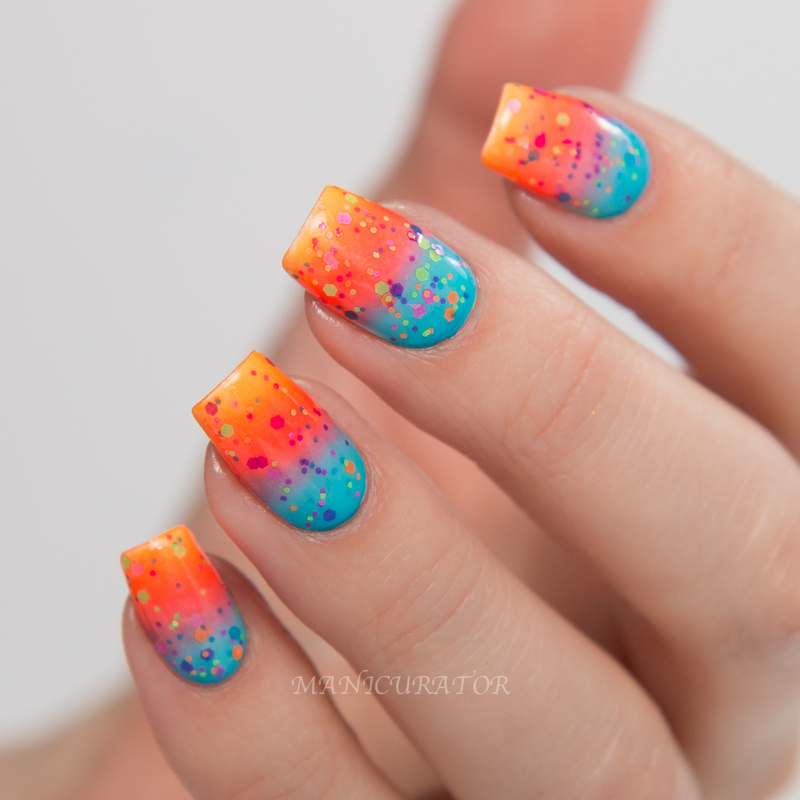 Created this bright gradient with (from tip to cuticle) China Glaze Home Sweet House Music (shown), Red-y To Rave (shown), UV Meant To Be, DJ Blue My Mind and Point Me To The Party glitter (shown). 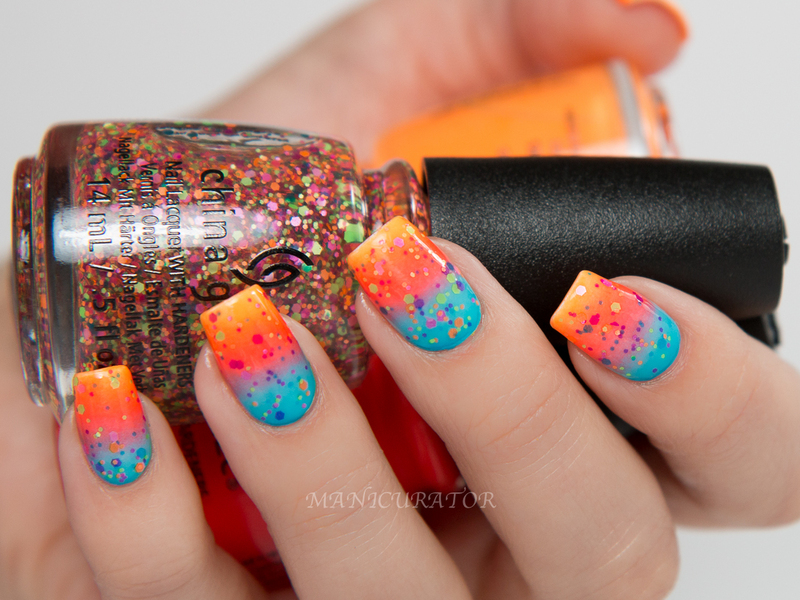 I sponged on the 4 shades: Home Sweet House Music, Red-y To Rave, UV Meant To Be (shown), DJ Blue My Mind (shown) and then topped with Point Me To The Party glitter (shown) over a white base. It's hard to imagine that this looks even better and SO. MUCH. WOW in person. 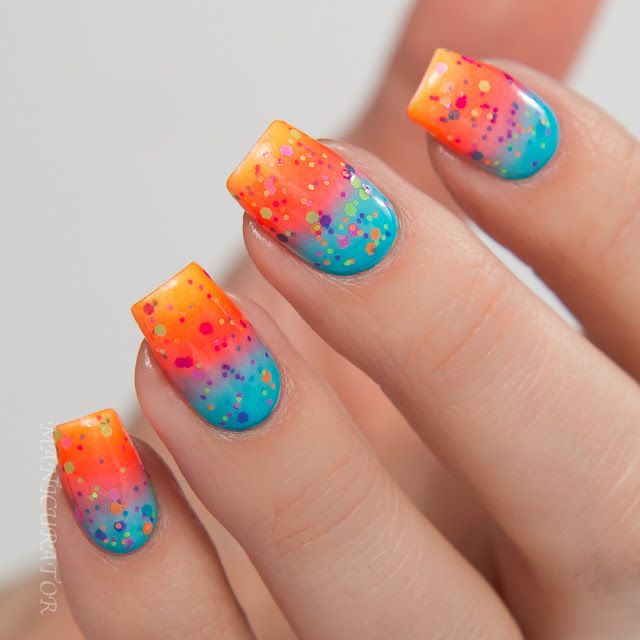 These are so bright. In fact, coincidentally my husband came home with a UV blue light (uh..not really sure why lol) the same day I had these on, and I caught a glimpse of my own tips - these are some glowy UV reactive fun shades!